Claiming charges of voter fraud, authorities in St. Joseph/Benton Harbor attempted to silence a popular dissident in late March of this year. 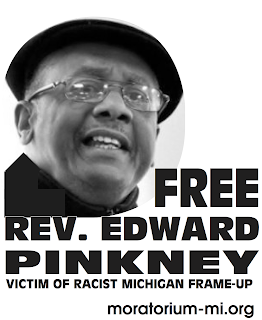 In a case marred by confusing premises, questionable witnesses, and a glaring lack of hard evidence, the prosecution failed to win the confidence of the jury in the recent trial of Reverend Edward Pinkney, which ended in a hung jury. A tireless activist, Pinkney successfully engineered a recall of a commissioner using absentee ballots, but accusers claimed he paid others to vote and handled some of the ballots personally. The city brought in a string of witnesses saying the Reverend paid them to vote, and a pile of ballots that supposedly had something wrong with them After Pinkney's attorney, Tat Parrish, skillfully cross-examined several witnesses and provided overwhelmingly superior closing arguments, it's a small miracle that the government was able to achieve a stalemate, let alone a conviction. For instance, Mr. Parrish pointed out that with all the time and attention devoted to this case, the prosecution failed to produce a single fingerprint on any of the envelopes that Reverend Pinkney supposedly handled. Ditto for DNA from any spit used to seal the envelopes. In fact, the prosecution's entire case seemed to rest on a big pile of correctly voted absentee ballots, along with five or so incorrectly voted ones, mixed with a healthy dose of deception, confusion and mysterious innuendo. Add to that about eight people to badmouth the Reverend, and you stir up just enough dust to confuse a jury. Prosecutor Gerry Vigansky's stable of witnesses was not impressive. Close to half of them are known to be crack cocaine addicts. This is not a statement of their value as people, but it is common street knowledge that crack addicts can be easily manipulated for money. And get this—two of Vigansky's witnesses were involved in a drive-by shooting; one was the driver, the other, the shooter. They are known to have committed these crimes, yet have not been prosecuted. How easily could they be induced to lie on the witness stand, if someone offered their potential freedom in exchange? The prosecution's most credible witness, Reverend Foster, claimed heart trouble during his cross-examination when questions got touchy, and pulled out a bottle of nitro glycerin. Shortly after, the judge excused him. Mr. Vigansky's case was riddled with diatribes designed to confuse rather than enlighten. His mostly hot-air strategy involved subjecting witnesses (and observers) to a monotonous litany of non-evidence presented to the jury as if it mattered. He droned on and on about different colors of ink on applications for absentee ballots, and meticulously noted differences in handwriting on the forms. What he failed to inform the jury is that neither of these things is a crime, and with all likelihood, it was the clerks who filled in the blanks with the correct information, not Pinkney, as was suggested. And, as Mr. Parrish pointed out, if handwriting was to be considered evidence, why didn't they bring in a handwriting expert? The prosecutor made a big deal about certain stickers or styles of stamps appearing again and again on ballot envelopes. But Reverend Pinkney freely admitted on the stand to handing out stamps to help in the election effort. And the stickers, he said, were the return address of City Hall, to make sure the ballots made it to where they needed to go, even if they were returned. Looking at it that way, he was doing something that was not only okay, but admirable in a political sense. He was trying to win the election. The prosecution spent some time on the fact that some ballot envelopes had stamps that weren't cancelled, implying that Pinkney had carried them to the clerk's office. But it is possible for stamps to come out not cancelled at times, especially on odd-sized envelopes, and folks have occasionally been known to put a stamp on an envelope, and then deliver it themselves. None of this implicated the Reverend. Take away the testimony of a motley crew of unreliable witnesses, and this becomes total speculation on the part of the prosecutor. Several witnesses were caught in outright lies. One claimed that Reverend Pinkney had at least five blank absentee ballots in his hand at one point. But questioning of city clerk workers revealed that it would have been impossible to steal ballots without being detected, as the ballots are numbered sequentially and signed for when turned in. There was lying going on outside the courtroom as well. I approached Glen Yarbrough, the commissioner who was recalled, during one of the breaks. Since I had heard some derogatory things about him, I wanted to hear his side of the story. I asked him if he had a criminal record, and he said, yes, he committed a crime in the sixties and wasn't ashamed to admit it. I asked if he used crack cocaine and he vehemently denied it. I asked if he was in the pocket of Whirlpool, and he told me he didn't even have a Whirlpool washer and dryer, how could he be in their pocket? I had to admit he had me there. Not ten minutes later, I was approached by two women who showed me a news article that said Glen Yarbrough was convicted in the nineties of forging a check. Although they didn't have the article, they then told me about a different occasion where he had been caught shoplifting Vitamin C and some other item. When asked if he was a drug user, one woman told me that at one time, he was so caught up in his crack cocaine use, his own mother had to evict him. "Go ask his mother!" she said, and kind of laughed. The other woman just shook her head. This is the commissioner Reverend Pinkney was trying to get out of office. And here we sat in the courtroom, watching an inexperienced prosecutor try to make a case out of thin air, using witnesses who just might have a reason to perjure. At times, the courtroom drama brought to mind the Salem Witchcraft trials, with crackheads and drive-by shooters filling in for the hysterical adolescents. As the trial wore on, you had to wonder why anyone was prosecuting this man. Reading between the lines of testimony, a picture of the character of Edward Pinkney began to appear: A man who cares about the place he lives in and the people who are his neighbors, and someone who is willing to take action to make a change happen. Even witnesses on the prosecution side testified that Pinkney was trying to bring jobs into the area, and the prosecutor somehow turned that into a bad thing, saying he tricked people into signing the absentee ballot application by pretending it was a job application. But all witnesses demonstrated that they could read, and would presumably know the difference between the two forms. 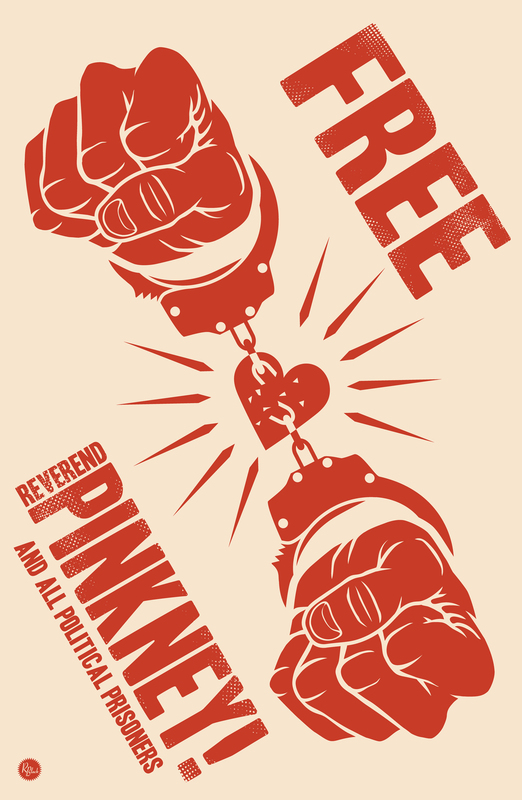 The prosecutor tried to cast a bad light on Pinkney's calling people together and advising them of their duty to vote, by implying it was some sort of conspiracy, but many on the side of free speech have applauded the Reverend's actions. Pinkney, a fireball of energy, devotes a significant part of his day to ministering to others, offering hope and encouragement, and occasionally, small jobs. Last year, just before the election, he was offering five dollars to poor and homeless people to pass out flyers explaining the recall election. The prosecution twisted this to suggest Pinkney was preying on a vulnerable population, and that he paid them each five dollars to vote. Throughout all of this, the Reverend has managed to keep his sense of humor. During a court recess, he clutched his heart and said, "This is the big one!" in imitation of Fred Sandford from the old sit-com. Although he was poking fun at the Reverend Foster, it didn't seem to be out of spite or meanness. After hanging out with him for a while, you get the feeling that this guy likes just about everybody—even the ones who are trying to shut him up. And, in the face of overwhelming obstacles, he manages to maintain a positive attitude that is positively contagious. Even during the more tense moments of his trial, he always had a smile and a hug for whomever might approach him. I followed Reverend Pinkney around for a couple of days after the trial, interviewing some of his supporters. Everywhere we went, people would greet him in that easy way that suggests they trust him and feel comfortable around him. Yet they are careful not to take him for granted; many say that if Pinkney were not around, there would essentially be no justice for black people in Benton Harbor. So why, you might ask, are they trying to put him away? Well, that is a long story, and most of it will have to wait for another article. My guess is that, just for a moment, the powers-that-be in St. Joseph/BentonHarbor heard the mighty voice of the people, and it scared them. But here's something to chew on: A recall election that was won by more than fifty votes was overturned on the basis of five or so tainted votes and one judge's "belief" that there was voter fraud. No facts, no hard evidence; just conjecture and an almost desperate need for Glen Yarbrough to remain on the city commission. Then we have a voter fraud trial featuring a jury with a relative of the county clerk on it, as well as three Whirlpool employees. (Pinkney's group is boycotting Whirlpool products.) Add to that the widespread rumors, and some testimony, that witnesses for the prosecution were paid off, and the whole thing starts to smell pretty bad. Reverend Pinkney is philosophical about the court battle. "I'm willing to go to jail", he says, "if it will bring attention to what's going on in Benton Harbor." For now, the Reverend has another six months or so of freedom, before authorities take another swat at him. Meanwhile, he is in debt to the tune of $30,000 for legal fees. If you want to help with that, send a check to: BANCO, 1940 Union St, Benton Harbor, MI 49022. I'm sure the Reverend and his wife will say a prayer for you. A few months ago, this magazine featured an article by John Mann urging voters to bring Congressman Fred Upton home. I agree. Let's give Fred the chance to really focus on the twin cities of St. Joseph and Benton Harbor, and hopefully, clean up his own backyard.